Josina Anderson made an appearance on ESPN’s NFL Live and relayed Hurns’ comments from an upcoming interview with the veteran pass catcher. According to Anderson, the former Jacksonville Jaguar — a man who didn’t make any waves while spending the first four years of his NFL career watching Blake Bortles alternate between under- and over-throws in Florida — is frustrated with the blame he and his fellow receivers are taking for the Cowboys’ struggles. And he’s got specific examples to back up his claim that Dallas’s 2-3 record isn’t on the team’s receiving corps. Here’s what Anderson said Hurns told her in an interview that will go live later in the week. He discussed the team’s issues after that primetime loss to Houston, making sure to point out how the team’s wide receivers were finding openings downfield but not getting the ball at crucial moments. One day later, he reopened the topic to clarify that his comments weren’t a swipe at quarterback Dak Prescott. 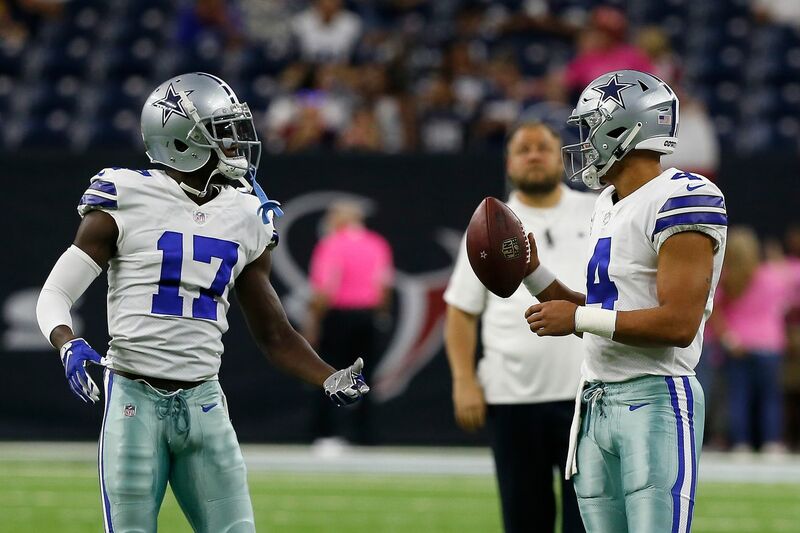 And while he’s being careful not to alienate his overtaxed quarterback, Hurns isn’t especially worried about retaliation from the Dallas coaching staff. Allen Hurns says he has eight catches, he can’t hurt himself anyworse or put himself in a worse situation. He was just being honest about one call. Cole Beasley has been with the club since 2012 and was the team’s leading receiver in that 2016 run to the NFC’s top record. He knows what this team can do when it’s running smoothly — and he’s sick of an unheralded group of receivers shouldering the blame for the Cowboys’ underwhelming start. Look elsewhere if you want to find blame for the Dallas Cowboys offensive struggles. That’s according to Cole Beasley and the Cowboys receivers, who point to the game tape to show they’re getting open. They’re not pointing the finger at quarterback Dak Prescott, but are clearly not comfortable with taking the blame for the Cowboys’ 435 combined passing yards through three games, which is the second-fewest in the league. And some of that criticism is coming from unexpected sources. Team owner Jerry Jones took to a local radio interview to call out his receivers, throwing former All-Pro Dez Bryant under the bus in the process. “We have a number of receivers, and each one brings something to the table for us” Jones told 105.3’s Shan & RJ Show. When asked about No. 1 receivers, he expanded on the topic. ”That hasn’t been our case here for several years now…not a true number one … My definition of a #1 receiver, it is Julio Jones, it is DeAndre [Hopkins]. There are not a lot of those guys around the NFL. Bryant’s also been skeptical of Dallas’s playcalling — a concern that’s shared by a mounting number of Cowboy fans, according to our extremely unscientific study. Do you approve of the job Scott Linehan is doing as OC? Through five games, the Cowboys rank 30th in the league in passing offense at just 172 yards per game — nearly 60 yards fewer than their breakout 2016 campaign. Their 6.0 yards per pass is good for 29th, ahead of only the Colts, Cardinals, and Bills. That’s a major problem for Dallas and head coach Jason Garrett — and, according to the Cowboys’ wideouts, it’s not one he can lay at the feet of the receiving corps.